CNET UK has reviewed the Nikon Coolpix S570 compact digital camera. This Nikon camera feature 12 megapixels and 5x optical zoom along with 47MB of internal memory. CNET UK gives the Nikon Coolpix S570 a 7.2 out of 10 score. The camera seems to be performing average in its class and it is able to produce pictures of decent quality. The S570 produces very good pictures at low ISO values, but at the highest ISO values the Coolpix is almost useless. Overall the Nikon Coolpix S570 seems like a nice camera that stands out positve compared to other cameras in the same class. 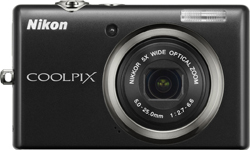 Read the full review of the Nikon Coolpix S570 camera here. Ther German photo testing website Photozone has tested one of my favorite lenses, the Olympus Digital Zuiko 35mm f/3.5 macro lens. This ultra-light macro lens is able to take pictures at a 1:1 scale, but because of the focal length 35mm you have to get very close to the subject to get 1:1. Photozone gives the Olympus Digital Zuiko 35mm f/3.5 macro lens a good review as the lens is extremely sharp and give you macro pictures of high quality. There are a few drawbacks like the lack of focus limiter and that you have to get very close to the subjects making insect photography pretty hard. As a owner of the Olympus 35mm lens I’m very satisfied with this lens and I’ve taken tons of great macro photos. I wholeheartedly recommend this lens especially when you look at the low price tag. Read the full review of the Olympus Digital Zuiko 35mm f/3.5 macro lens here. Lets Go Digital has reviewed the Olympus PEN E-P2 Micro Four Thirds camera. The E-P2 is a minor improvement from the E-P1 with a new autofocus-tracking system and two more art filters. In addition there is a new external electronic viewfinder and stereo microphone. 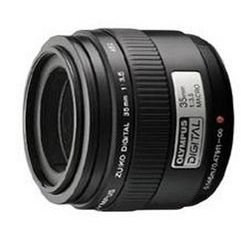 Lets Go Digital ends up giving the Olympus PEN E-P2 a “Recommended” rating. The reviewer finds the camera to be what the E-P1 should have been when it was launched as the first Micro Four Thirds camera from Olympus. The E-P2 is able to produce images of excellent quality, the new electronic viewfinder is great and the new AF-tracking system is also a good addition. Over the E-P2 seems like a great camera, but the minor changes might not be big enough for E-P2 owners to upgrade. New buyers on the other hand should look at the Olympus PEN E-P2 as a good choice. PC Magazine has reviewed the Epson Artisan 810 wireless touchscreen inkjet printer. This Epson inkjet printer features a big 7.8″ touchscreen panel and wireless connectivity. 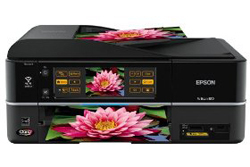 PC Magazine ends up giving the Epson Artisan 810 a “Very Good” 4 out of 5 points rating. The reviewer find the Epson printer to make good prints, it is fast and has a lot of useful and good features. A couple of minor downsides are small sheet tray and the quality of text prints could be better. The Artisan 810 seems like a very good choice for someone looking for All-in-One printer for the home. Read the full review of the Epson Artisan 810 printer here.